Jennifer Tuell is the Executive Specialist at the Association of University Centers on Disabilities (AUCD). She supports AUCD's executive director, Andrew Imparato, in leading the organization as well as oversees AUCD's accessibility and accommodation strategies for events and meetings. Jennifer also has the privilege of working with Senator Tom Harkin on the annual Harkin International Disability Employment Summit and supporting his vision of identifying strategies to increase employment opportunities around the world for people with disabilities. Jennifer obtained her MA in Deaf Studies from Gallaudet University through the Language and Human Rights program. Within this experience, she developed skills related to advocacy and policy for disability rights with a bilingual-bicultural approach through English and American Sign Language (ASL). 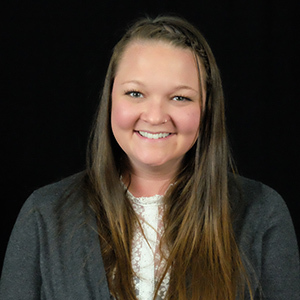 Prior to getting her masters, Jennifer did a year of service with Americorps: Public Allies and was challenged to make connections through assets-based community development methods. She received her BA in Special Education: American Sign Language Interpretation from the University of Cincinnati. Growing up with a learning disability, Jennifer found pride through her own personal experience with dyslexia and knew early on that she wanted to make fighting for disability rights her career.